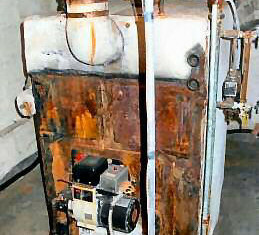 Boiler systems are an expensive – but vital – investment for your home or business, especially in the winter months. However, there are affordable but high-quality options out there if you know where to look! Here’s some advice from the team at our plumbing wholesalers in NJ. Plumbing Wholesalers in NJ Have What You Need! Wholesalers can offer you an extensive range of boilers and water heaters for both commercial and residential use – and sales staff will assist you in determining exactly which product will suit your requirements. With cast iron boilers, steel boilers, high efficiency boilers and steam boilers running on oil, gas and electricity, wholesalers can explain exactly how each product will assist you and guide you through the buying process. In addition to standard boilers with an efficiency of 84% (regardless of AFUE rating), high-tech options are also available. This includes computer-controlled boilers that can reduce energy consumption by up to %16, many of which qualify under the New Jersey clean energy program for extensive rebates. So, why are Plumbing Wholesalers so Affordable? When you’re looking for a commercial boiler or a residential boiler in New Jersey, you don’t want to compromise on quality. Buying from a plumbing wholesaler means a cheaper cost without compromising on quality. This is because we get our boilers direct from leading manufacturers and sell directly to you – so there’s no middle man involved. Without the markup that occurs between a product leaving the floor and arriving in a showroom, wholesalers are able to offer you the same high-quality products at a significant discount. At Crosstown Plumbing Supply, we can either assist you with choosing a high-efficiency, low maintenance boiler replacement or provide you with an extensive range of plumbing supplies for boiler repair. As we are a plumbing wholesaler in a 3.5% sales tax zone, we can make your repairs and services the most affordable in town. Our sales consultants are highly experienced and happy to assist you with finding the right part for your needs and we work closely with reliable, affordable plumbing professionals we are happy to recommend to our clients.